One of the major accusations made by the left-liberal historians against Hindu society is the oppression of lower caste people by the so-called upper castes for centuries. But one major question which keeps arising is the absence of revolts against such oppression for centuries, before the rise of social reformers during the period of Colonial rule of British in Bharat. Ever since the British started ruling this country, our land has seen the rise of different social reformers who solved various problems which existed in Hindu society. So why was such rise of reformers absent in the era of monarchs in Bharat? Were such problems created only after the advent of British in this country? Let us have a detailed analysis over this issue. The main accusation made by the left liberal historian is the denial of access to proper education for people belonging to lower castes in Hindu society. While such problems existed and were resolved by different social reformers in this country during the British Raj, the education system which was existing in this land before the advent of the Europeans seem to be far more advanced and uniform. Almost every caste had their own specific areas of occupation and basic education was provided for all free of cost, an analysis of which is precisely portrayed in Dharampal’s “The Beautiful Tree”. It was only after the ravagement of this perfect system of education by the British in order to establish their supremacy in this land, that such problems began to exist. 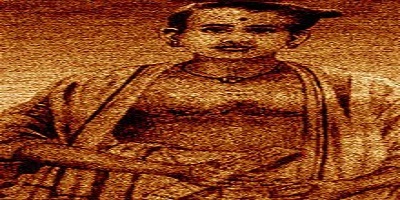 One perfect example for the indigenous education system of Bharat which created many intelligent minds even among the so-called lower castes is the famous Ayurvedic physician named Itty Achuthan in Kerala, who belonged to the Ezhava community (considered OBC or Other Backward Class in today’s Kerala). Unlike the popular claim of left-liberal historians that upper castes dominated the important occupations like medicine, engineering etc., every community had their own particular occupation depending on their expertise. The Ezhava community to which Itty Achuthan belonged to were holding the portfolio of doctors in the society based on their expertise and knowledge. Itty Achuthan, who today is almost a forgotten person in Kerala, was not only a popular physician among the locals but also a person who made the Europeans, regarded as the epitome of knowledge by these left liberals, bow before his knowledge. This can be noted from the fact that Itty Achuthan was the major contributor of ethno-medical information for the compilation of Hortus Malabaricus, the botanical treatise on the medicinal properties of flora of 17th century Kerala. The book was compiled by the Dutch Governor of Malabar, Hendrik van Rheede and was published in Amsterdam between 1678 and 1693. The ethno-medical information presented in Hortus Malabaricus was extracted from palm-leaf manuscripts maintained by Itty Achuthan Vaidyan, who was introduced to Henrik van Rheede by Veera Kerala Varma, the then ruler of the erstwhile state of Cochin. Volume 1 of the Hortus Malabaricus contains an original note by Itty Achuthan, dated 20 April 1675, in which he describes his contribution to the work. Itty Achuthan is credited with having dictated the material, in his native Malayalam language, which was then translated into Latin. While many politicians and historians speak about empowerment of people belonging to so-called lower castes whose rights were denied by the colonial British who ruled this country for more than a century and destroyed it economically, culturally and socially, a symbol of pride for people belonging to these communities is almost forgotten. The house in which Itty Achuthan lived is currently in a pretty bad state without any proper maintenance. Despite concern among certain local historians and cultural advocates, the authorities are yet to take any action in order to protect this historically important building and documents. Itty Achuthan’s Kuriyala, the place which was used by this great physician to prepare medicines is also suffering from the same despicable fate. Though a gazette was issued by the government to take over the Kuriyala and a medicinal farm nearby, no further actions have been taken. This shows that the lies of left-liberal historians are being propagated to degrade the values of Hindu society by leaving out its famous names and its places of historical importance. A personality like Itty Achuthan, who can act as a sense of pride and motivation for people whose rights were quashed by the colonial British, is still being neglected with the support of left liberal historians and officials for politics and other agendas, making such people feel deprived and degraded instead of igniting a sense of pride in their minds.